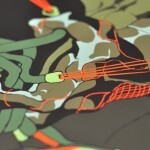 Bottleneck Gallery will have “Fight Club” movie posters by Tomer Hanuka available soon. On sale Thursday, March 16th at 12pm Eastern (9am PDT) HERE. Mondo will have “The Tree of Life” by Tomer Hanuka & “Days of Heaven” by Laurent Durieux movie posters available soon. Good luck! 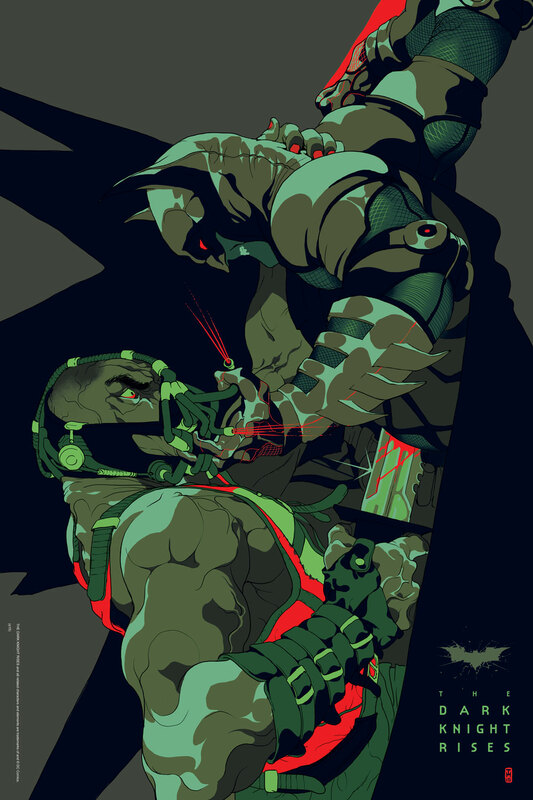 On sale Thursday, August 11th at a random time HERE. 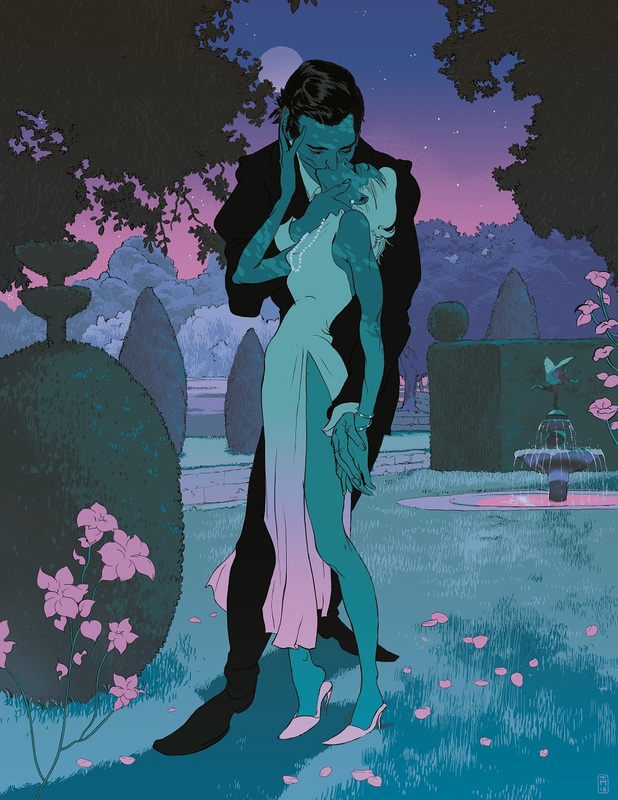 Tomer Hanuka will have a new print available soon titled, “Full Bloom” via Bottleneck Gallery. 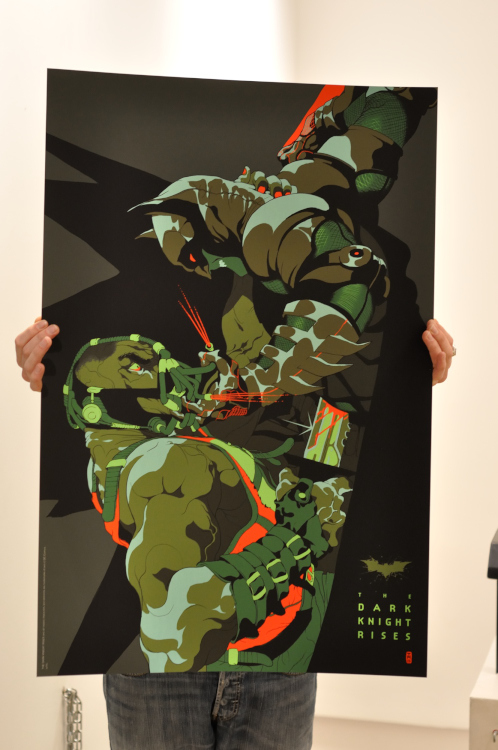 On sale Wednesday, April 13th at 12pm Eastern (9am PDT) HERE. 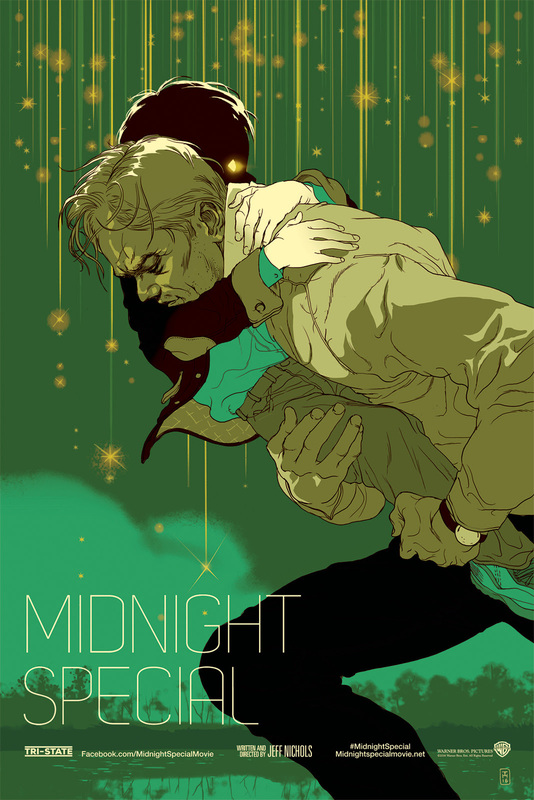 Mondo will have “Midnight Special & Mud” movie posters by Tomer Hanuka available soon. On sale Thursday, March 10th at 12pm Central (10am PST) HERE. 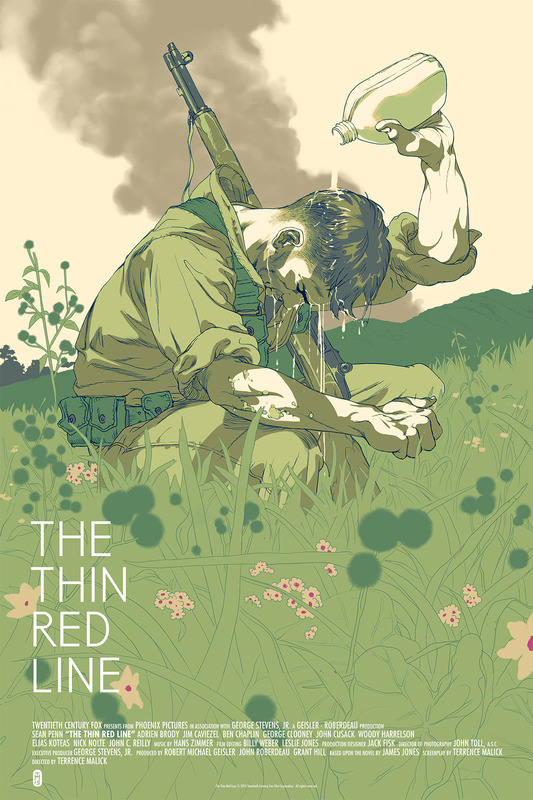 Mondo will have “The Thin Red Line” movie posters by Tomer Hanuka available soon. 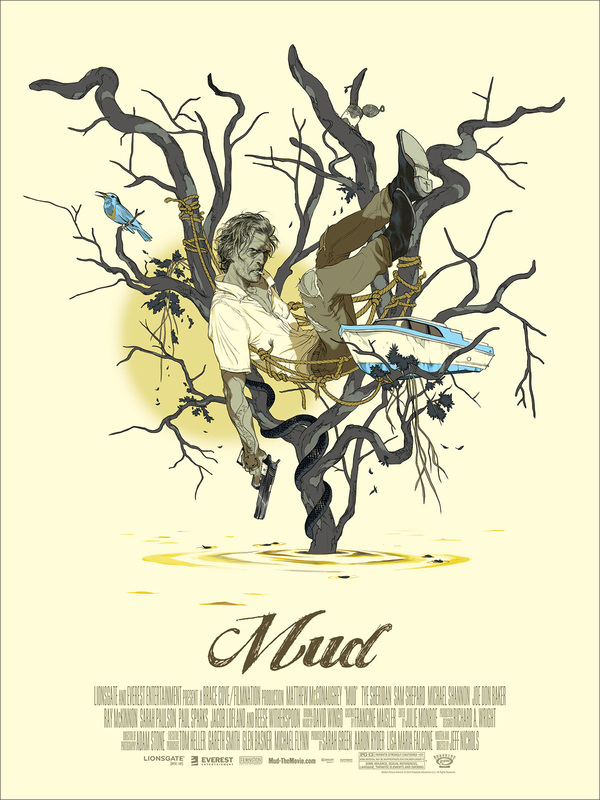 On sale Thursday, January 21st at a random time HERE. 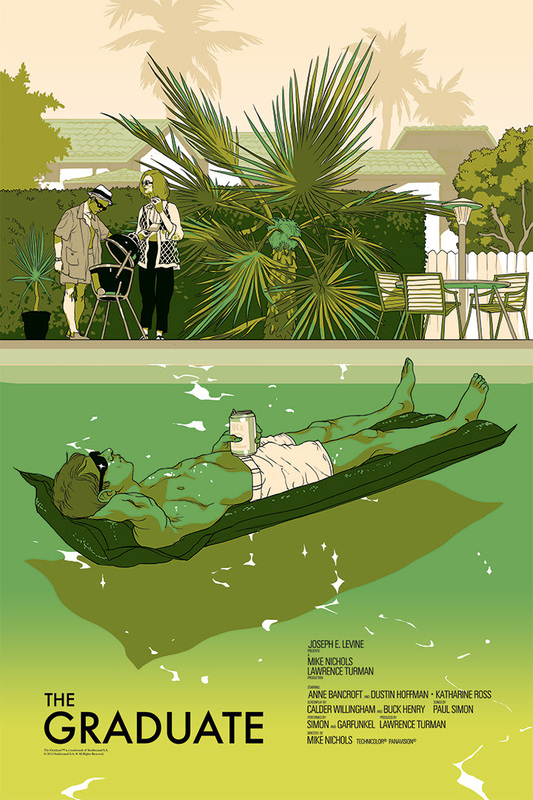 Mondo will have “The Graduate” movie posters by Tomer Hanuka available soon. See below for details. On sale Thursday, September 3rd at a random time HERE. 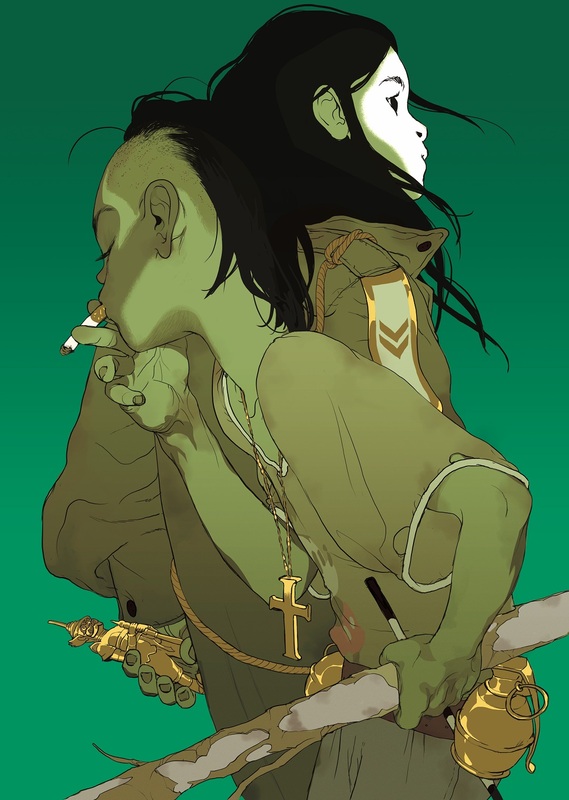 In 2012 Gingko Press published ‘Overkill,’ a collection of over 100 illustrations by artist Tomer Hanuka. 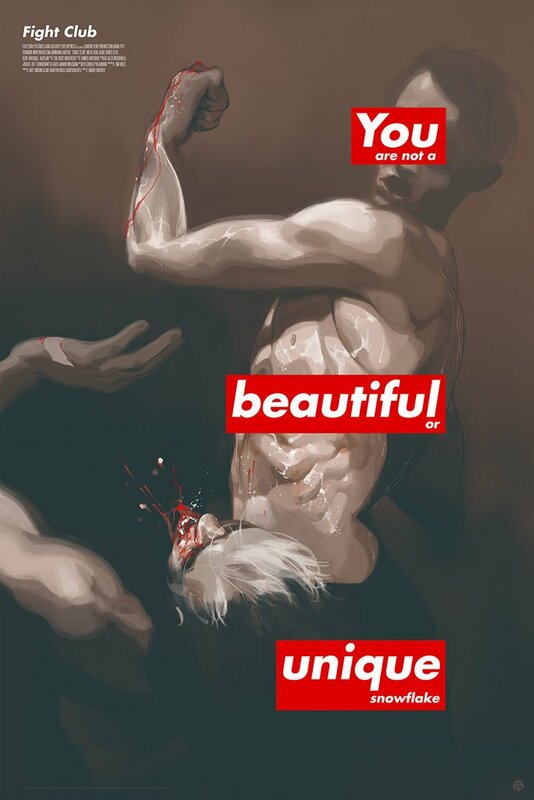 Included in Hanuka’s illustration work for novels, magazines, and films was a piece titled ‘Havoc.’ The illustration is a flash of epic violence — a delicate take on the brutality of war, man unraveling at the skin. The piece was attributed to ‘The Divine,’ a graphic novel I later discovered Hanuka had been at work on with fellow illustrator and twin brother Asaf Hanuka and writer Boaz Lavie. 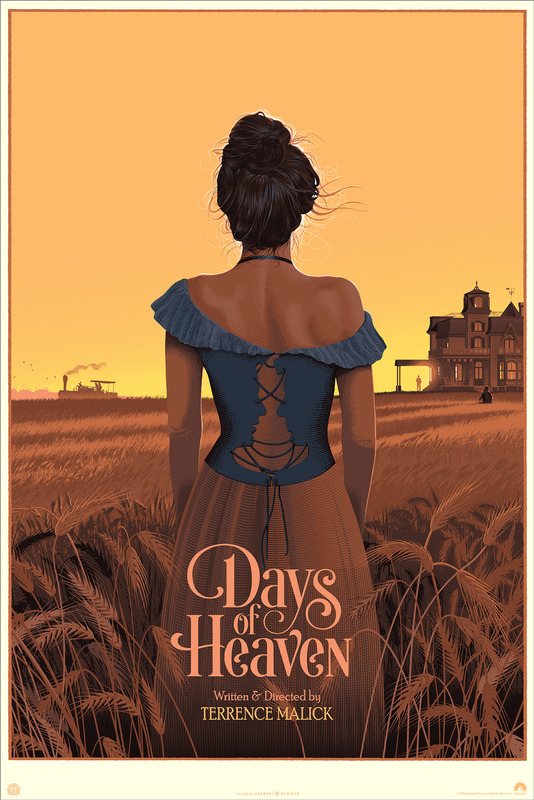 For ‘The Divine‘ Boaz wrote the story followed by directing’ the book with Asaf who also created tight layouts, which Tomer inked and colored. 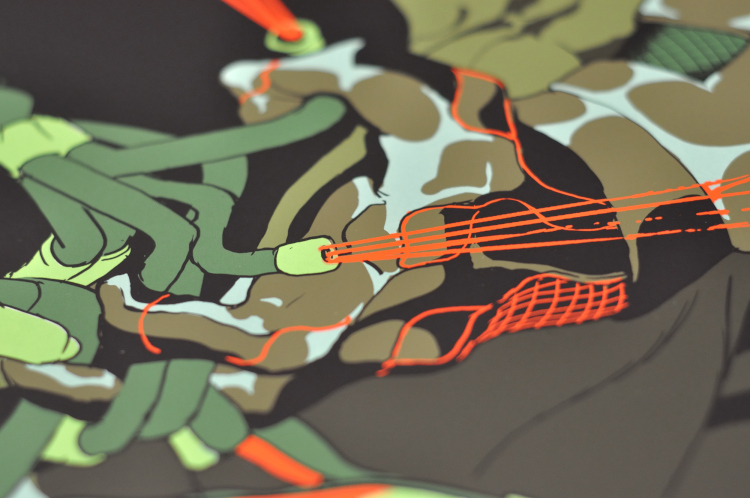 Even in the most abstract and magical moments of ‘The Divine’ you feel the strong tug of reality in their work. 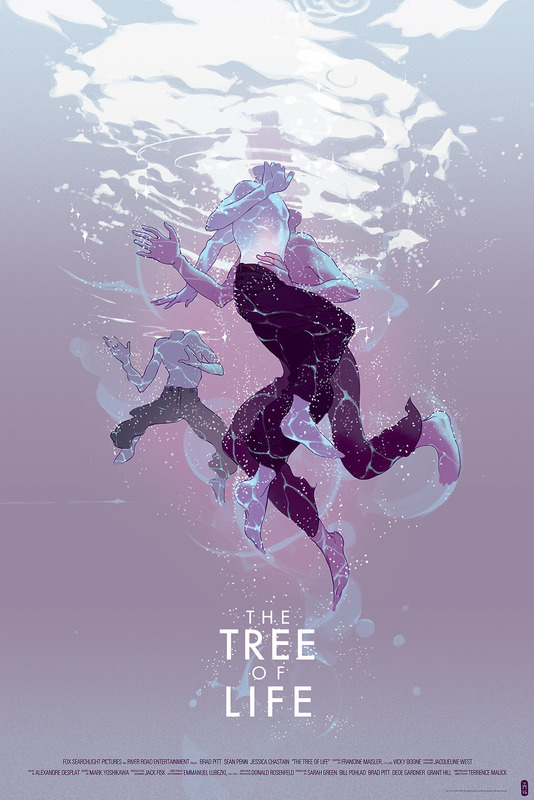 Similar to Asaf’s comic work in ‘The Realist‘ which finds true insight and magic in the everyday, ‘The Divine’ does the opposite in bringing truth to the magical. 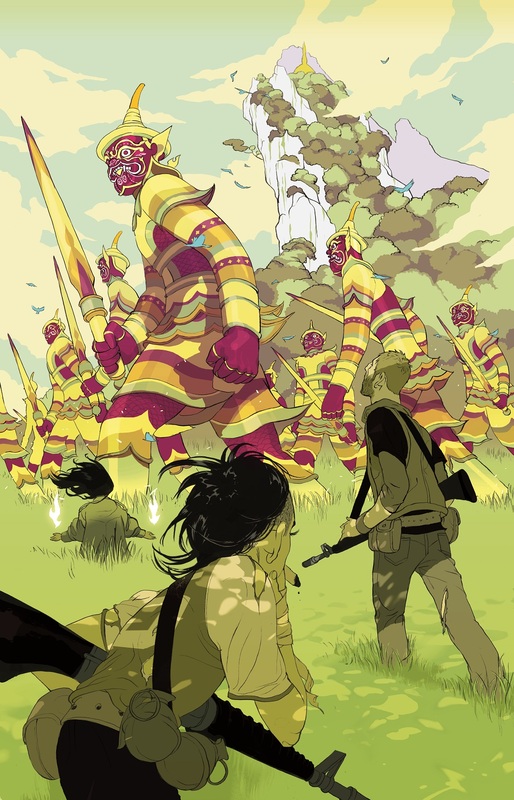 The brothers Hanuka along with writer Lavie have created an environment in ‘The Divine’ with a sense of the universal known — the images are familiar because we’ve seen war. We’ve watched the news and have witnessed the violent crush of a foreign people. 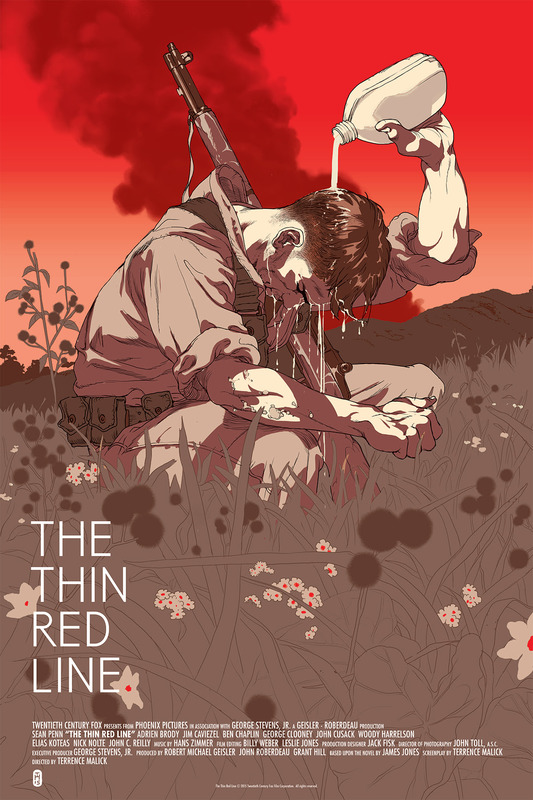 In this common ground they’ve constructed a stunning piece of heartbreaking fiction drenched in myth. 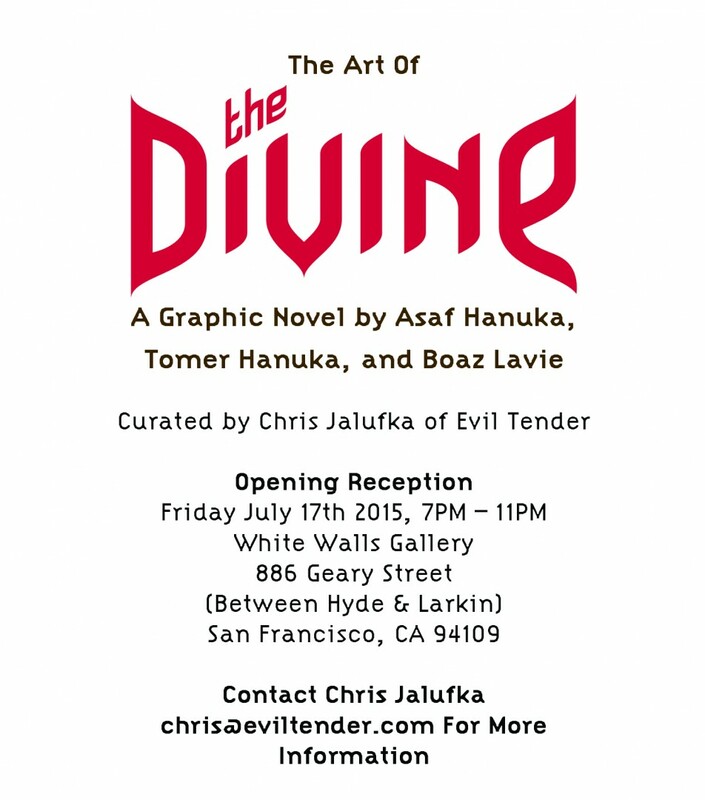 ‘The Divine‘ will be released on July 14th from First Second Books, and on Friday July 17th Chris Jalufka of Evil Tender will present ‘The Art of The Divine,’ a gallery exhibition to be held at White Walls Gallery in San Francisco. 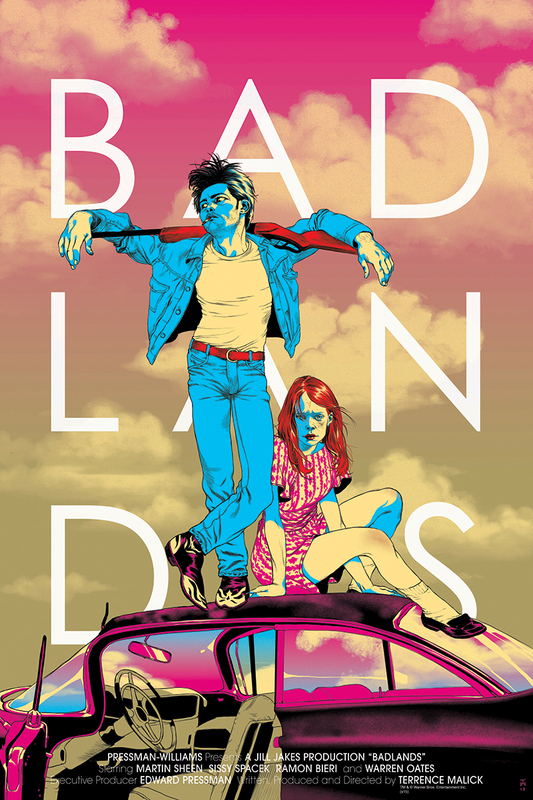 Mondo will have “Badlands” by Tomer Hanuka movie posters available soon. See below for details. 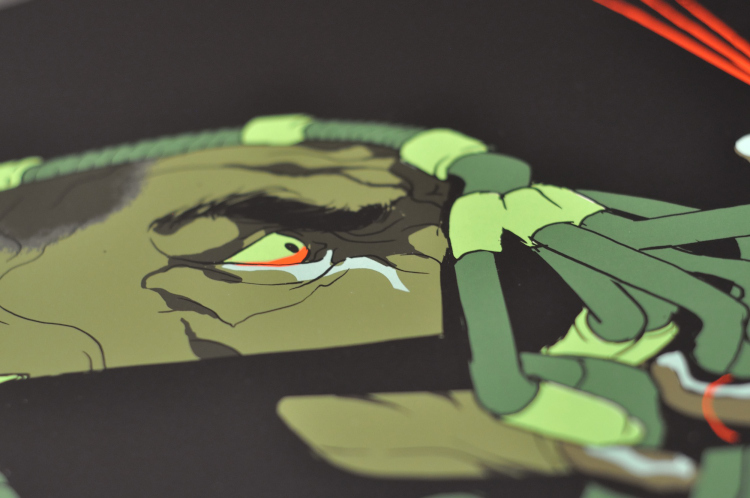 On sale Thursday, March 19th at a random time HERE. 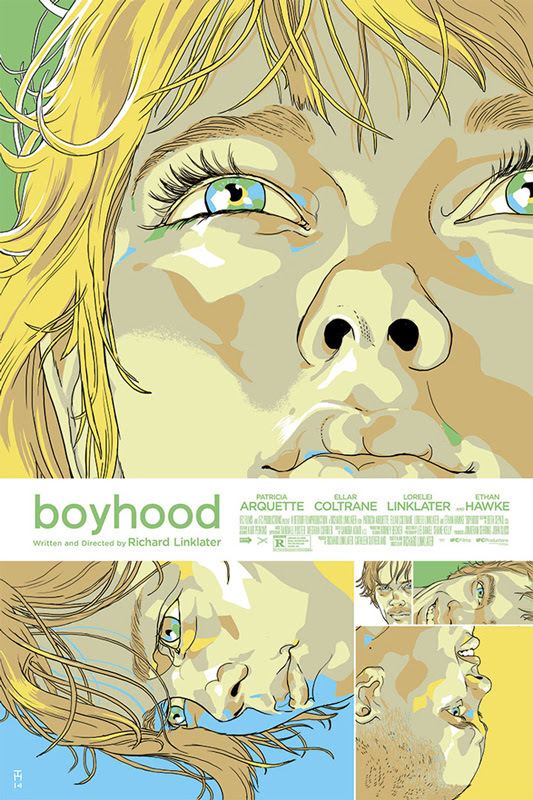 Mondo will have “Boyhood” movie posters by Tomer Hanuka available soon. 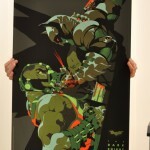 It is a 24″ x 36″ Screenprint, numbered edition of 225, and cost $45. 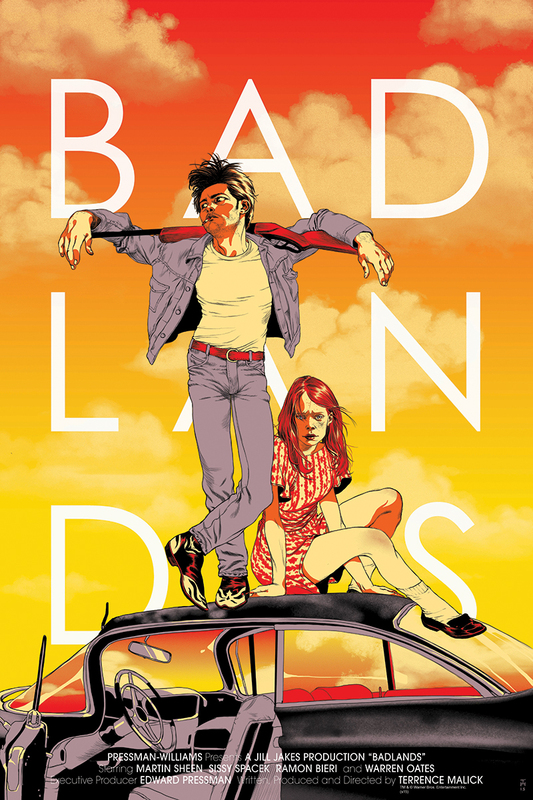 On sale Friday, July 18th at a random time HERE.